Jewish community of GDL (the Great Duchy of Lithuania) of old had its own distinctive character and was different from Jewish communities of other countries. It was deep-rooted in GDL and kept old religious traditions. There were many famous religious schools, yeshivots in Lithuania, many famous rabbis, cantors and experts of Talmud who came from Lithuania. The Lithuanian Jewish community, to compare it with others, was more conservative and more resistant to novelties. Under the influence of prominent local religious authorities and social conditions, the specific world-view of Lithuanian Jews was formed in the cultural space of GDL, which was distinctive for its synthesis of religious imperative and rational thinking, and the specific type of Jewish mentality, because of which the Lithuanian Jews were started to be called the Litvaks. 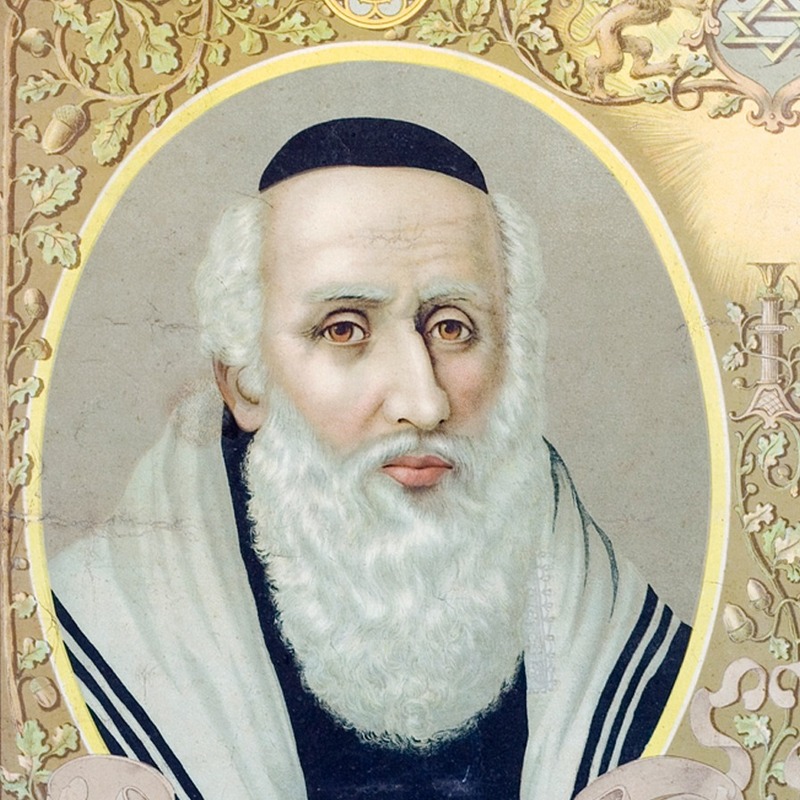 The most famous religious authority, who determined the religious and cultural singularity of the Lithuanian Jews, was a sage of the 18th century – the Vilna Gaon. It is often affirmed that the Vilna Gaon started a new era of researching Mikra (the Scripture), Mishnah and Talmud. The creative heritage of the Vilna Gaon – commentaries on Mikra, Mishnah, Talmud, Tikkunei Ha-Zohar (The Book of Splendor), Tikunim Mi-Zohar Khadash (The New Book of Splendor) - is being studied together with other works of the most famous Jewish sages in the most famous yeshivot of the world. In the course of time, Gaon became a legendary, and even a mystified personality. His name was surrounded with the most colorful legends. Stories of his life, told by one person to another, became known in Jewish Diaspora of different countries. Elijah ben Solomon Zalman was born in 1720. His father Solomon Zalman was a good expert of Talmud, and a descendant of a rabbi of Vilnius Isaac Kremer. Already in his childhood Elijah was distinguished among other boys of his age for his abilities. At only six years of age, he gave his first homily in the Great Synagogue of Vilnius, where he displayed his extremely good knowledge of rabbinical literature. In contrast to the practice of the time, Elijah did not study at a yeshivot, and started his independent studies of the Scripture and Talmud very early. For some time (starting at the age of seven) Elijah studied under rabbi of Kėdainiai Moses Margalioth. After half a year, he returned to Vilnius and continued studying independently. In addition to his studies of Torah and Talmud, Elijah investigated the theoretical Kabbalah, and while not yet thirteen, he engaged in the practical Kabbalah, attempting to create a golem. This fact of Gaon’s life is mentioned in the writings of one of his most famous pupils, Chaim of Volozhin, who established the famous Volozhin yeshivot after Gaon’s death. Some researchers suppose that the studies of Kabbalah strengthened Elijahu’s bent for seclusion, which was already seen in his childhood. At the age of twenty, Elijah abandoned his wife and children, and left to wander around cities and towns of Poland and Germany . There are plenty of legends about this period of his life, telling about Gaon’s holiness and his universal knowledge, which surprised even the scientists of Europe. After five years of wandering, in 1745, Gaon returned to Vilnius and remained there up to his death in 1797. Contemporaries of the Vilna Gaon were not the only ones amazed by his extraordinary erudition and knowledge of many secular sciences. His creative heritage, consisting of more than seventy treatises on various topics - commentaries on the Scripture, the Talmud, mystic texts of Kabbalah, then a grammar of Hebrew, and treatises on a long list of such general sciences as geometry, astronomy, medicine, and so on - still excite great interest both of religious authorities of modern Jews and of scientists. Worldwide authority of Gaon Elijah ben Solomon is so great, that one could scarcely find a religious and practicing Jew who would not know the “Vilna Gaon”, “Elijah Gaon” or Ha-GRA (an acronym of Ha Gaon Rabbi Elijahu).